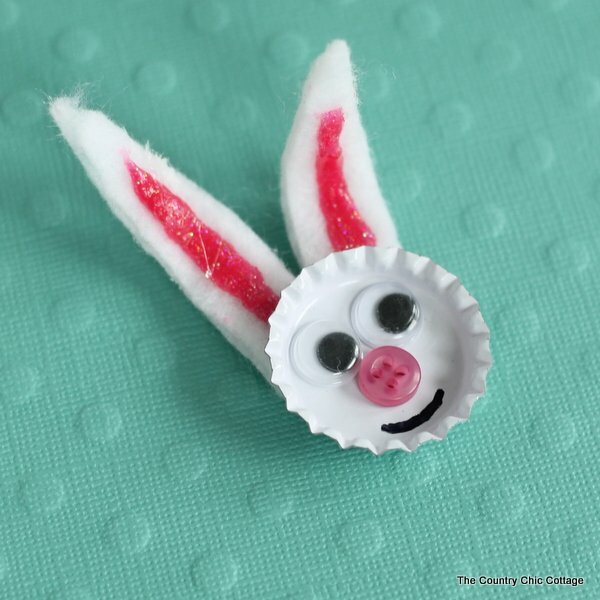 I am finishing up this recycled craft series with an adorable bottle cap bunny. Grab those bottle caps and let your kids make some of these cuties! If you have missed any of our recycled craft fun this week, be sure to check out the round ups from day 1, day 2, day 3, and day 4. There are also even more recycled crafts linked up at the bottom of this post so be sure to scroll down and see them. You can watch the SUPER quick video below as I put together one of these fun projects. If you want to grab some magnets as well as the supplies above, those can be added to the back then your bunnies can adorn your fridge! Cut four ear shapes from white felt. Cut two pieces of floral wire to go inside ear shapes. Hot glue around outside of two ear shapes and sandwich with floral wire in the middle. Draw pink line on outside of ear shapes with beads in a bottle. Trim inside of ear shapes so that they fit together and look right with the bottle cap. Add bottle cap to top of ears over wet paint. Hot glue on eyes and button nose. Draw in mouth with a sharpie. Allow to dry completely then you can shape ears as needed. They will stay in place because of the wire inside of them. 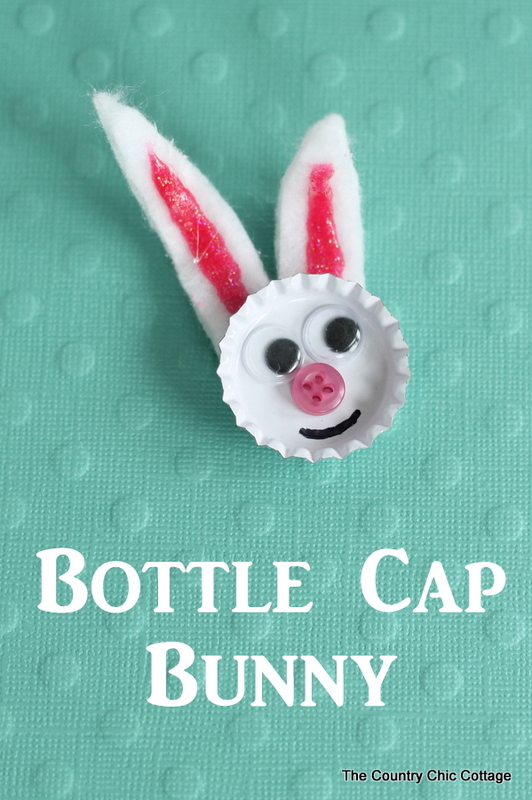 These bottle cap bunnies are the perfect kids craft for Easter! Grab some bottle caps and recycle them into cute crafts today. Now for some 15 minute recycled crafts from our blog partners for this series! 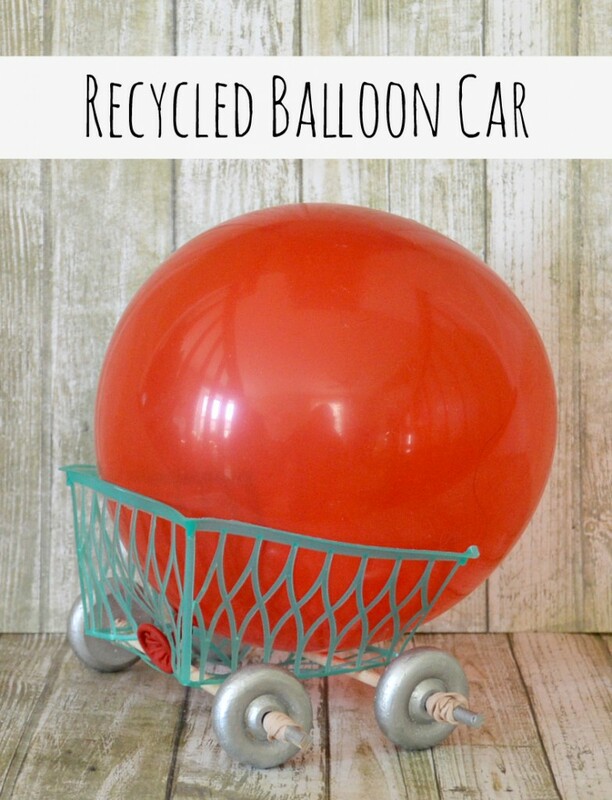 Up first is a recycled balloon car from One Artsy Mama. Your son or daughter will love helping to make this fun toy! 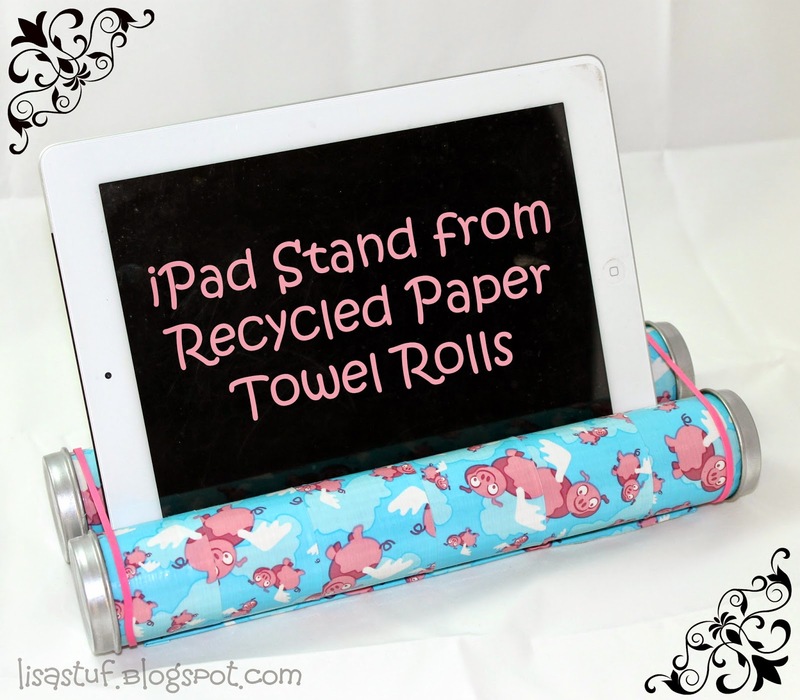 Take paper towel rolls and make an adorable iPad stand like this one from Lisa Stuff n Such. This is such a clever idea! Save up those milk cartons y’all! 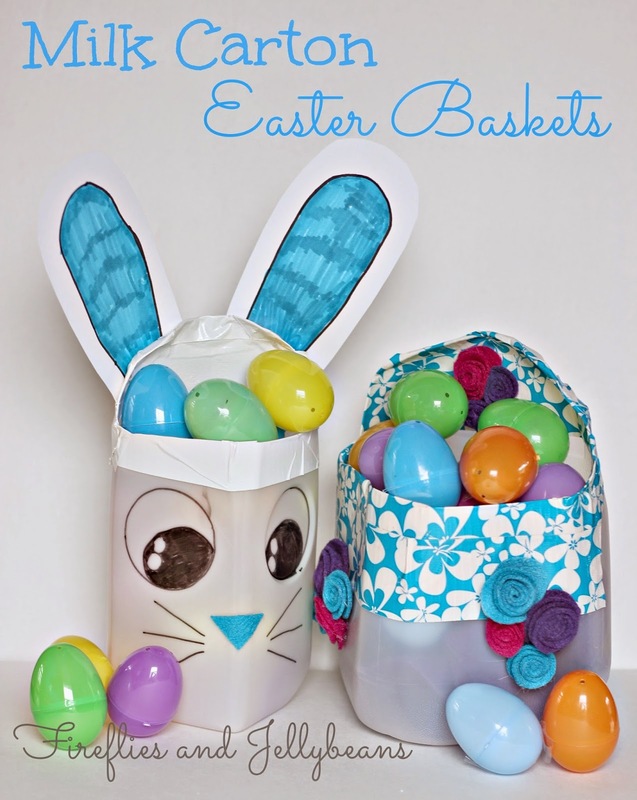 You can turn them into Easter baskets like these from Fireflies and Jellybeans! 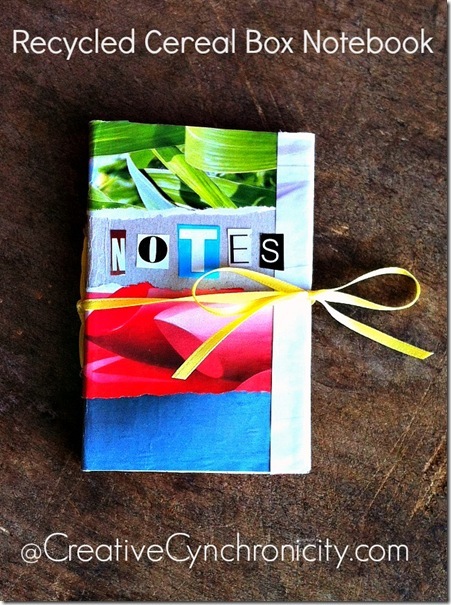 You can also turn recycled cereal boxes and scrap paper into a great recycled notebook like this one from Creative Cynchronicity. Does the tooth fairy come to your house? 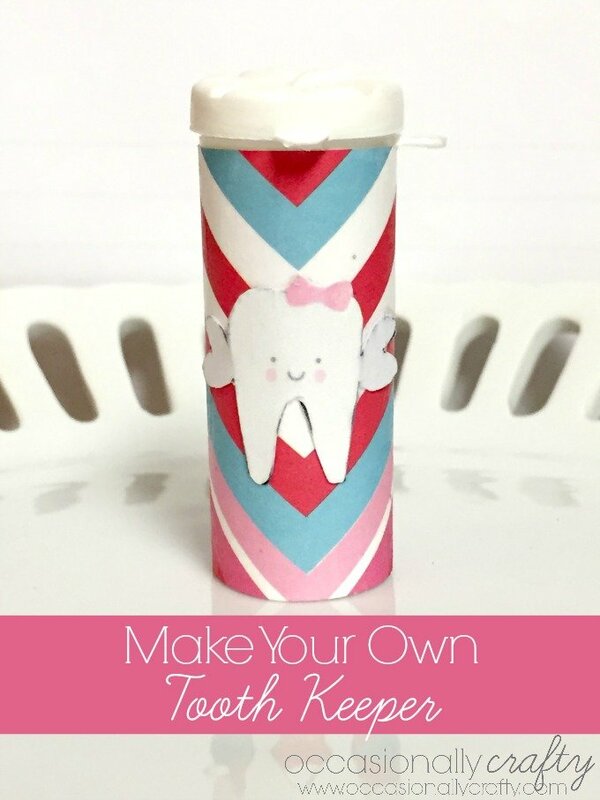 Make sure that tooth can be found be making this recycled tooth keeper from Occasionally Crafty. 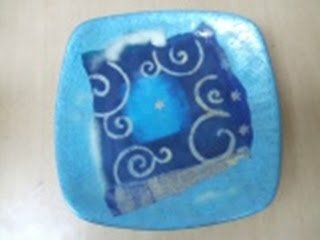 Turn any thrift store plate into something gorgeous with these instructions from Ann Butler Designs! My partners for this series also have some great projects. 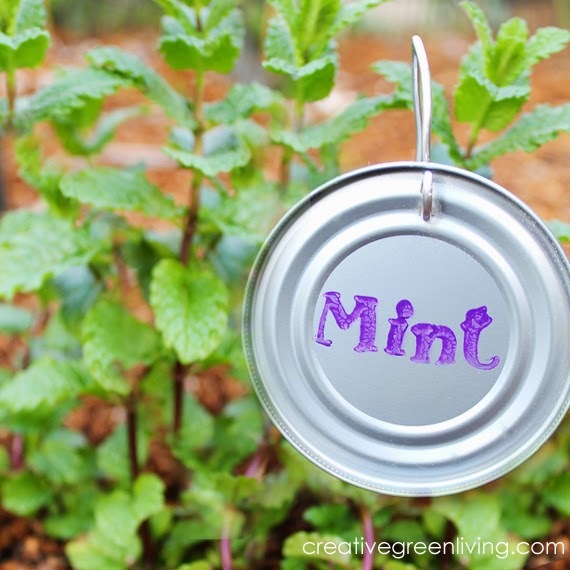 Make these canning lid garden markers by following the instructions over at Creative Green Living. Turn any jar into something special with etching cream. 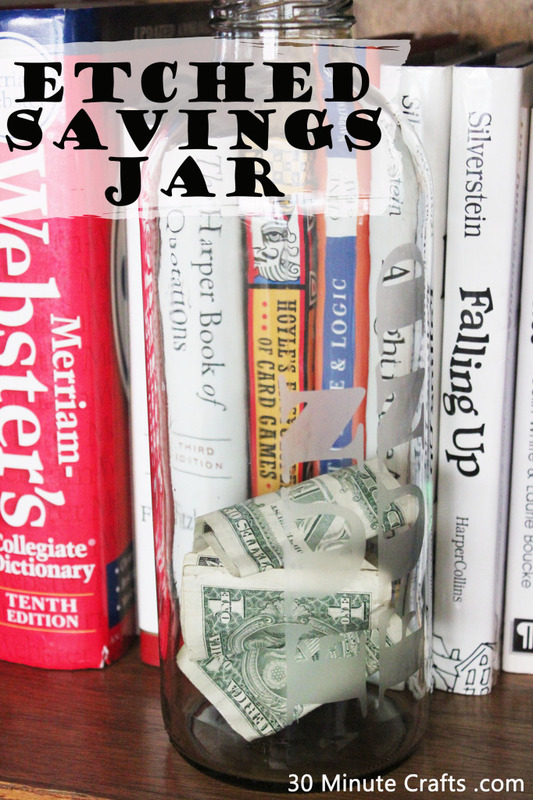 I love this FUN FUND jar from 30 Minute Crafts. Y’all stay tuned as I will round up the entire series tomorrow. If you want to keep up with all of our quick and easy crafts throughout the year, be sure to follow our Pinterest board. Recycling means use again, for other purpose, but the amount of stuf you buy to make something cute out of waste does not make the world greener but makes it black. Please, first learn and read many books and sites from organisations or other groups who realy live green before you use the word recycle! From what I see here you are a beginner on the staircase of sustainebility. If you write somethings for other people to read, you must know what you say and do your research. Thanks for your comment em! I will definitely keep that in mind in the future.